The PEP Softball Team is sporting brand new compression sleeves with the name of the team’s sponsor on them—The Clutter King. Justin M. is the proud founder and owner of this business, and is an outside graduate of PEP from 2013. Justin has always been a hard worker, and upon release from prison in 2012 after serving 4 years for a DWI charge, he was hired by his former employer in Houston. The first thing he did after getting out was to buy a bike at Academy Sports and Outdoors so that he could ride his bike from I-10 and Antoine to 290 and Pinemont to get to his shift. He started out on the assembly line and had several promotions over 8 months, and moved from the shop to the front office. He now is in a management role there and oversees all the raw materials that the business buys and uses in its manufacturing process. At the same time, he saved enough to get off the bike and in a car, and was able to buy it without incurring a high rate of interest on a loan. In February 2013, he launched Clutter King in his father-in-law’s garage, and he focuses his work on residential reorganizing. He also joined the National Association of Professional Organizers (www.napohouston.org) and is now a member of their board and assists them with Communication and Technology. 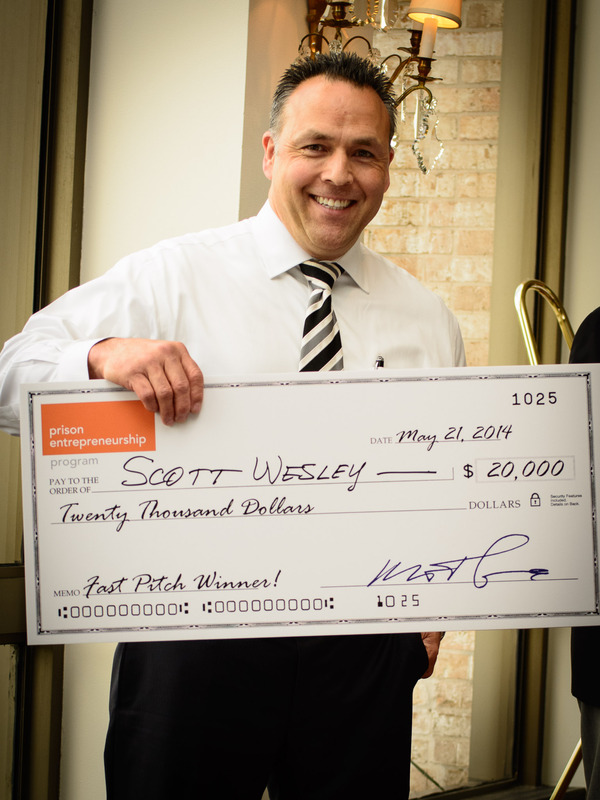 Clutter King was one of the PEP graduate businesses that was a finalist for 2014’s Fast Pitch Day, and he is now growing to the point where he will hire additional employees and or subcontractors to assist him with the business. Justin’s wife was pregnant when he was incarcerated, and they now have another child, along with his stepdaughter. They have just bought a home in Hockley, and Justin explains that their life is all about stretching and growing, stretching and growing. His wife is the Volunteer Coordinator at Goodwill Industries. His greatest takeaway from PEP is to Keep Going! He feels that PEP and its brotherhood is a great catalyst for change and an active moving force. Congratulations to the top three finalists in our first-ever FastPitch: ‘Free World’ Business Plan Competition! We had nearly twenty semi-finalists compete in pitch contests over the past few weeks. We were honestly astounded by the intensity of the competition and the quality of the pitches … this was an incredibly difficult choice. Many of the pitches were ready for investments, and we look forward to working with ALL of you to build your businesses.